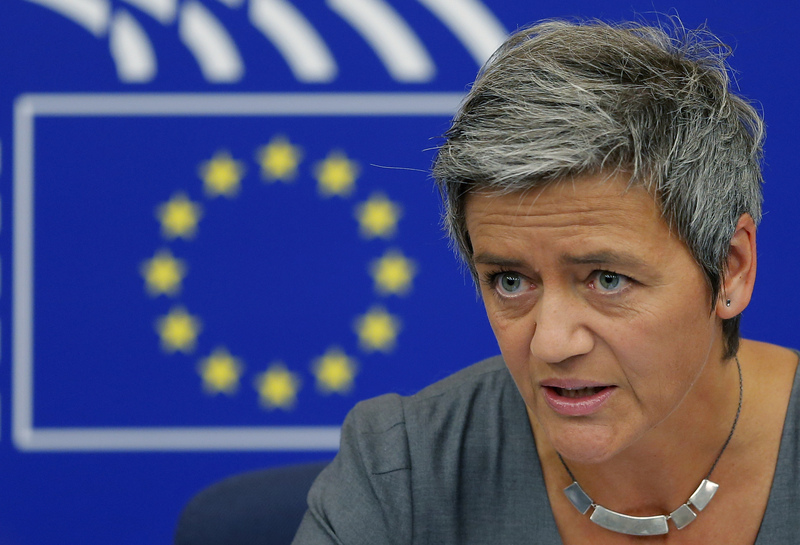 European Competition Commissioner Margrethe Vestager holds a news conference at the European Parliament in Strasbourg, France, September 8, 2015. Germany’s Siemens said on Jan. 17 it will not make further concessions to save a rail merger deal with France's Alstom even after European competition authorities demanded further amendments. EU Competition Commissioner Margrethe Vestager is concerned the merger could stifle Europe's rail industry and has voiced doubts about China’s potential to be a competitor on European railways in the near future. Siemens and Alstom agreed to merge their rail operations in 2017, a deal backed by both the French and German governments, which said it would help secure the competitiveness of the European rail industry. Siemens shares were trading at 99 euros as of 0947 GMT on Jan. 18, up 1.7 percent in the year to date. Alstom shares were trading at 34 euros, down 2.3 percent in the year to date.